A dental veneer is a thin facing made from porcelain that is bonded to the front of the tooth. These very natural-looking cosmetic restorations can completely transform your smile. Porcelain veneers have an average lifetime of 10 years but can last longer if properly cared for. Dr. Pham, Dr. Ly and Dr. Amero are all very experienced in making porcelain veneers and can give you a fast but enduring smile makeover using porcelain veneers. It is possible to correct quite a variety of imperfections in this way. We use E-max veneers which can be cut much thinner than traditional porcelain veneers and yet are much stronger and last longer than average. They withstand chips and fractures and are resistant to stains. In cases where the teeth are too dark, porcelain veneers by themselves may still allow the darkness of the teeth to show through. In these cases we use Zirconia covered in clear porcelain. To make an appointment, call 714-841-0203 or click here to request an appointment online. Careful preparation is the key to achieving the smile you want. In your first visit, a complete set of X-rays are taken. 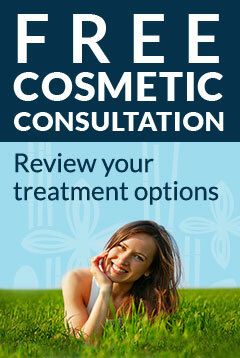 The doctor then discusses with you what you want and what would look best to match your face and personality. We use a special set of templates and a shape and shade guide to assist you in your choice. We use a special cosmetic lab that is able to make custom shapes and shades, which means you can get exactly what you want. When you are getting many veneers, we will take impressions of your teeth to send to the lab, which will then make a full wax-up model of your smile. This is used so the doctor can make changes and show you what your new smile will look like in advance. The last step during this visit is to prepare your teeth for the veneers and put temporary veneers on them so your teeth are protected while your permanent veneers are being made. In the next visit, you will get your permanent veneers. The doctor will make sure they fit right and look exactly how you want. Any adjustments needed will be made until you are completely satisfied with your smile. This patient received porcelain veneers to repair misshaped front teeth. This patient received porcelain veneers to cover discoloration and wear of the teeth. This patient received porcelain veneers to enhance the shape and color of their teeth. See more Before & Afters. Dental bonding is often used for the many of the same purposes as veneers, as well as being used for aesthetic fillings. Dental bonding is tooth-colored composite resin material that is applied directly to teeth to repair chips, gaps,discoloration or other issues. Dental bonding is more economical than porcelain veneers but can be less durable and does not have the translucency of porcelain veneers. However, our doctors have a lot of experience in the use of dental bonding for cosmetic purposes, and feel bonding can be a good option for someone not quite ready to get veneers. Visit Our New, 2nd Orange County Location! Site created by Gilleard Marketing, doing business as Gilleard Dental Marketing. ©2015‑2019 Gilleard Marketing, a California corporation. All rights reserved. This material may not be published, broadcast, rewritten or redistributed. Custom photographs and custom copy ©2015‑2019 Gilleard Marketing.